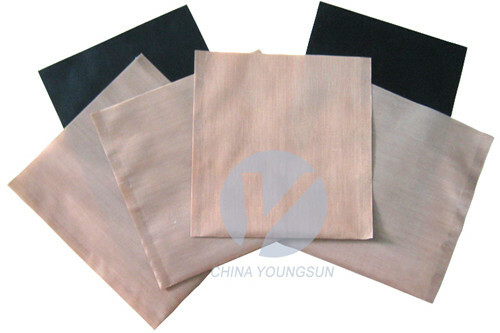 Youngsun use excellent fiberglass as the weaving material to plain knit or specially knit into superior fiberglass basic cloth, coat it with fine PTFE resin then make it into various PTFE high temperature resistance cloth in different thickness and width. 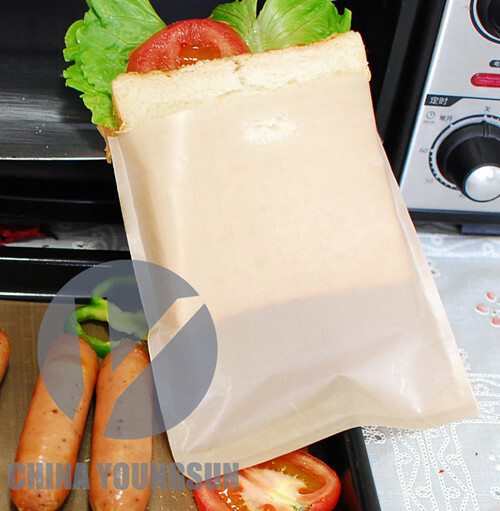 In the Reusable Toaster Bags you can prepare toasted sandwiches, garlic bread, slices of toast in an ordinary toaster, grill or toasted sandwich-maker. Ready in just a few minutes and the appliance stays clean. No need for butter, so it`s extra healthy! And because it is transparent, you can easily see when the food is done. The bag is reusable and can simply be washed in soapy water by turning the bag inside out. By using the bags in the toaster you can keep gluten-free bread quite separate from wheat bread crumbs in a toaster. 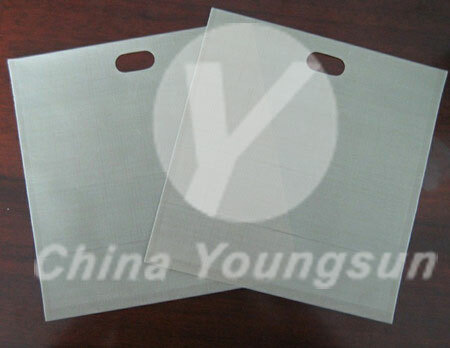 It completely eliminates the chance of cross-contamination. 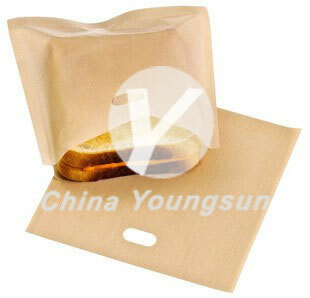 Looking for ideal Reusable Toaster Bag Manufacturer & supplier ? We have a wide selection at great prices to help you get creative. All the Non-stick Toaster Bag are quality guaranteed. 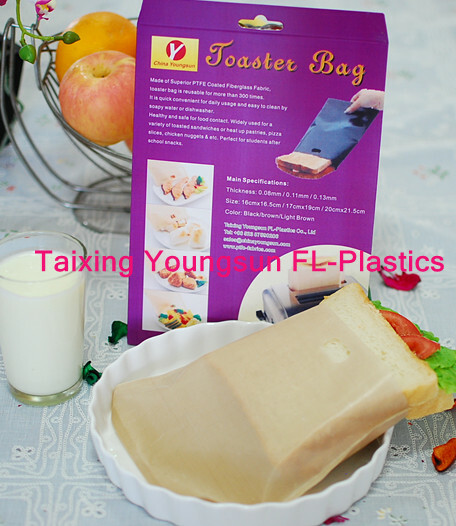 We are China Origin Factory of Ptfe Toaster Bag. If you have any question, please feel free to contact us.